Since I'll be at the San Diego Comic-Con for the vast majority of this weekend, I'll play whatever it is that publishers and video game developers have available on the show floor. Maybe some Castle Crashers? Maybe not. I'll probably play a little Street Fighter X Tekken to get a better feel for Poison, maybe a little Twisted Metal, perhaps some Super Mario for the Nintendo 3DS. I've already played some Mass Effect 3, Toy Soldiers: Cold War, Star Wars: The Old Republic and a couple more, so it's not like I've been wanting for games at Comic-Con. 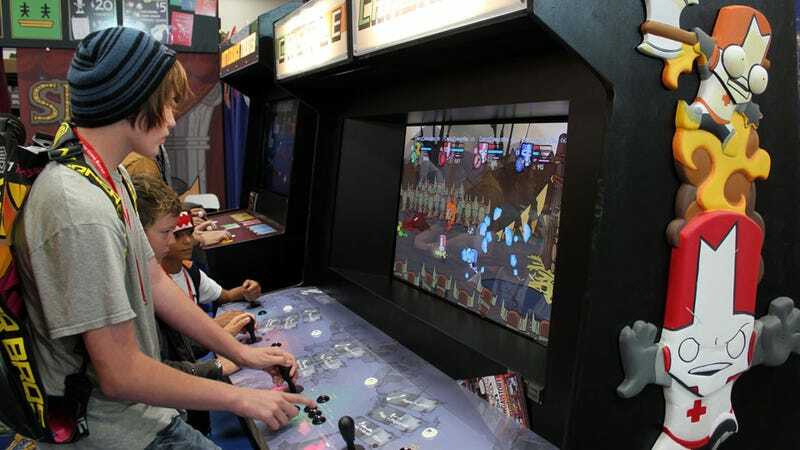 For those of you who aren't swimming in the sea of Comic-Con attendees this weekend, what games will you be playing? Let us know in the comments, if you'd be so kind.